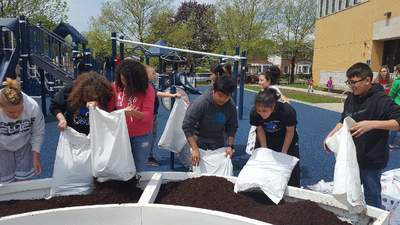 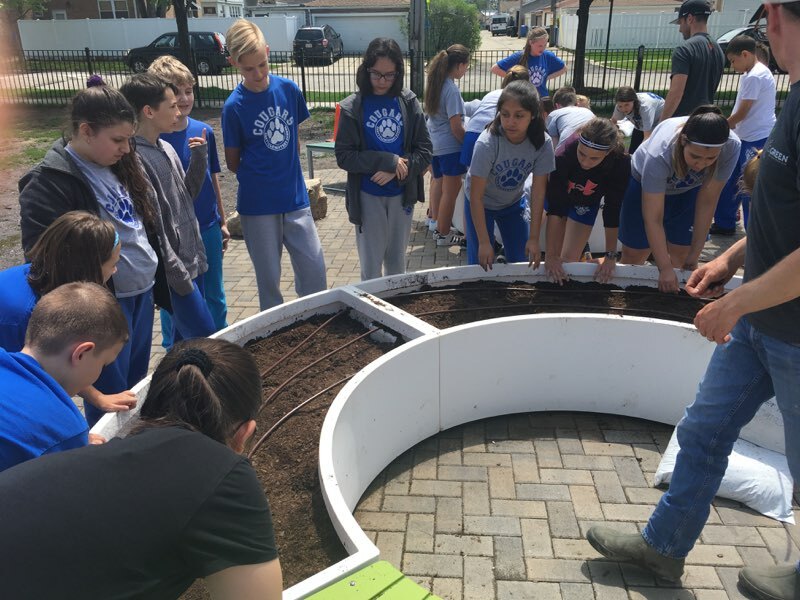 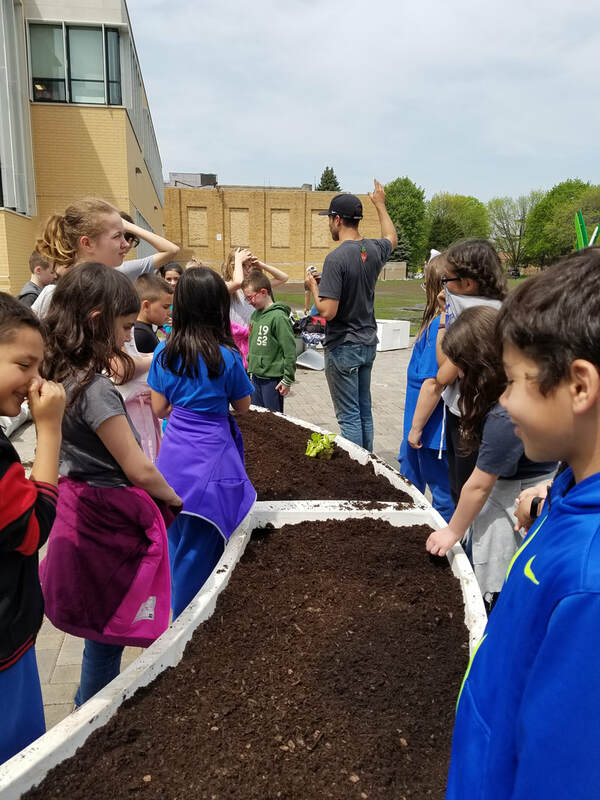 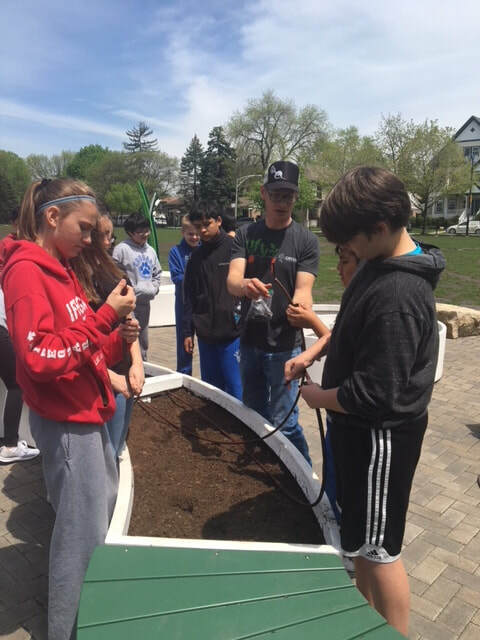 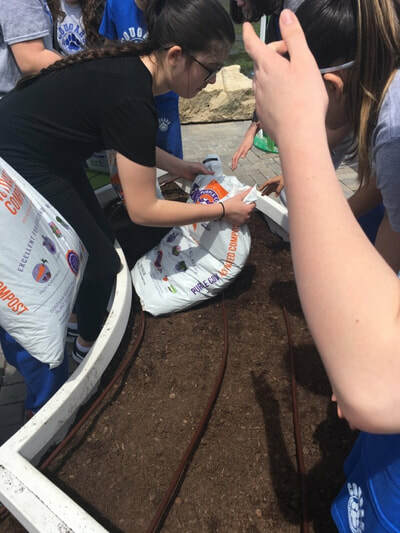 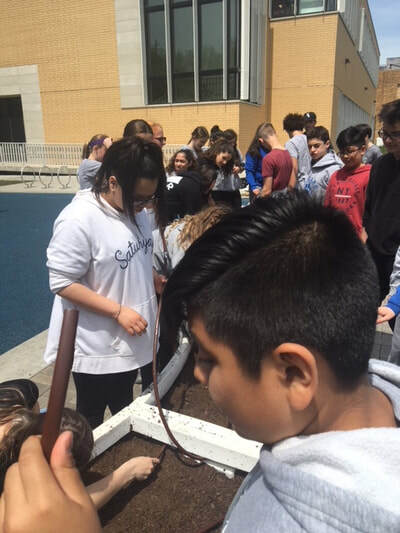 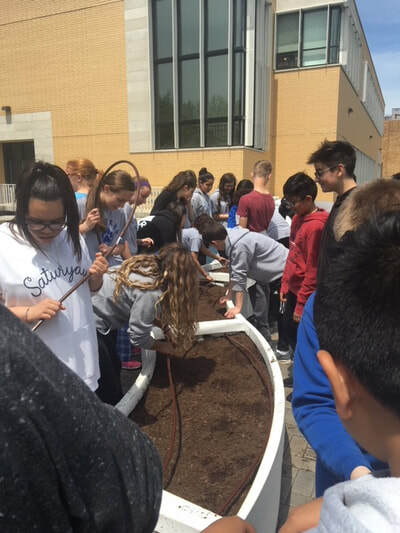 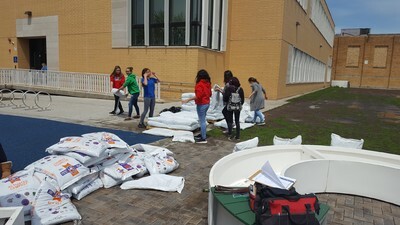 In the midst of heavy rains and lightning flashes, our students worked hard to fill the garden planters, in Canty's new garden, with soil and compost while simultaneously installing irrigation systems. 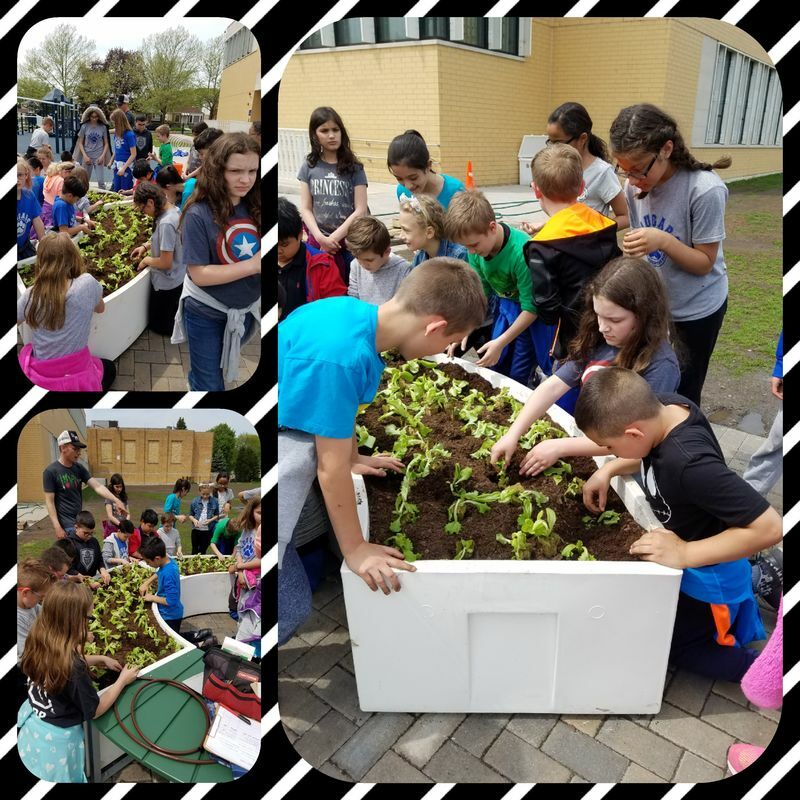 After, our fourth grade students planted lettuce and basil. 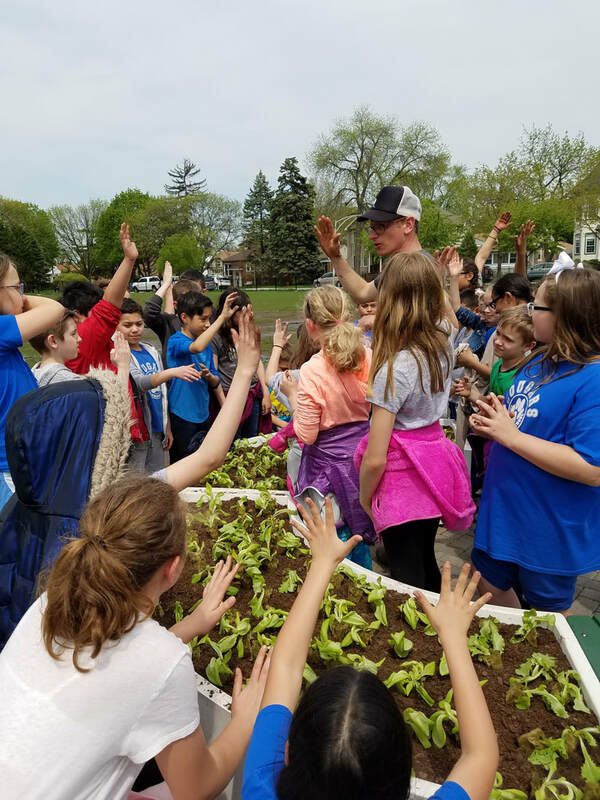 You can see the fruits of all this labor outside next to our playground, along Waveland Ave.